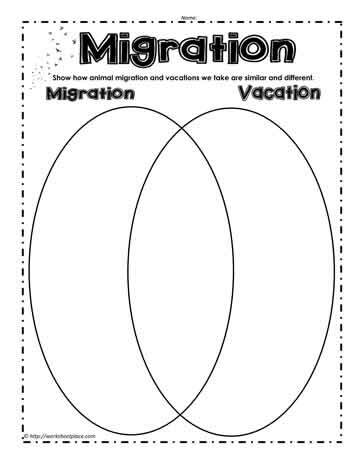 Compare how migration and vacations are similar and different with this venn. Discuss the similarities and differences between migration and vacation. Make learning authentic with higher level thinking questions like these.